This book is a rarity in holy well works. Whilst there are a number of general guides and increasing field guides, monograms on a specific site are very rare. With a site as famed and certainly picturesque as Malvern’s Holy Well, such a work was long overdue I would say. Cora Weaver produces a great little book crammed full of information and it is far from clear how old the holy well is it would seem. What this book makes clear that despite what is assumed the holy well’s history does not predate the 1600s, with Malvern Song, it itself not published until Treadway Russell Nash’s 1748 Collections of the History of Worcestershire, being its first mention. Yet what the book fails to do in retelling the legends and stories it captivates in its pictures. There are over 40 pen and ink drawings from well-known sites such as St Nectan’s Well, Hartland to lesser known ones such as the Sisters Fountain spread over 60 pages. The book is a personal pilgrimage, a love story in artistic illustration, from an author who has become captivated as many are by our holy and ancient springs. The title captures well the mystery that comes with peering into these watery worlds – a world connected but somehow divorced from the real one, evocative, ancient and mysterious. The author’s work so beautiful executed entices others to take up her pilgrimage. It could be said as field guide, it is perhaps nearly close to useless (although all sites have a grid reference), that is unless you show the local the picture whilst looking for it, and Terry Faull’s excellent Devon work not long along admirably does that function. No this is a book for armchair travelling. For thumbing through on those cold wintry days when the field work is prevented. The drawings so well encapsulate the mystery and spirit of these wells. Even rather perfunctory and relatively ‘modern’ edifices such as Exeter’s Cathedral are rendered romantic by Alex’s pen. “I hope the reader will be as inspired as I have been to seek out some of the beautiful and magical wells illustrated within these pages and discover what it is like to walk between worlds. 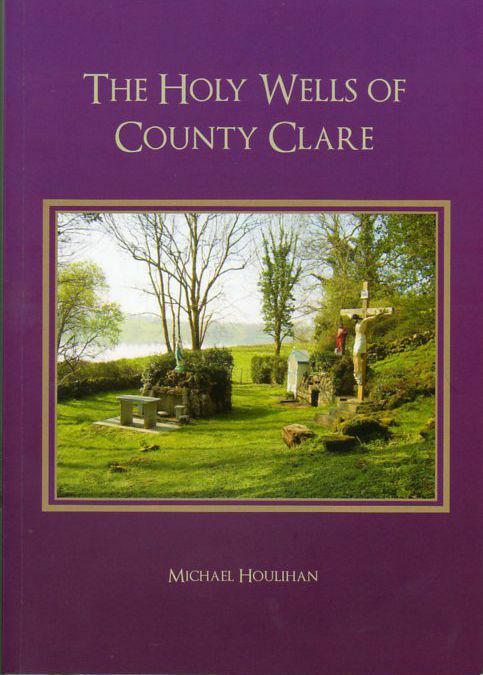 As the author states Clare has the highest concentration of holy wells (240) than anywhere else in Ireland and as such a detailed book on them is long overdue! As such this is an indispensable first countywide guide to sites and a great source for researchers. Ireland is a very interesting country for researchers. A country in which its holy wells have had a role in the religious as well as the socioeconomic landscape well into modern times. It details like most books starts off examining the history of wells beginning with their origins in antiquity and goes on to discuss the ups and downs of holy wells. Indeed 102 of its 144 pages are dedicated to giving the reader a guide to the history of wells in the county. This might seem excessive but the account is pepper with Houlihan’s detailed research and refers to a large number of wells as examples. There are 60 photos of wells all colour and a very helpful appendix and grid references to encourage the reader to explore. Houlihan discusses Ireland’s interesting surviving holy well custom – the pattern details such as Inis Cealtra, on Holy Island and Inis Carthaigh on Scattery Island, Killone – which has had a turbulent time in the county. Indeed, this is a work which gives a very good introduction to the political and religious background of the country to give context to its holy well phenomena and the Pattern is central to this. It is interesting to observe that external political tensions with France not only enabled the Catholic community to regrow and but may have enabled the converse effect on the holy well. What is interesting is that during the periods when the Catholic church was in the wilderness the Catholic populace turned to such sites as places to continue their devotions. Whereas one would expect the church to encourage such ritual it clearly saw such assemblies as dangerous and Ignore. Early attempts as the author notes were weak but the new and more influential priests formed in the newly established seminaries encouraged by greater tolerance, appeared to be evangelical in their approach to the Pattern. Whereas, as the author highlights unlike Scotland, the state distanced itself from condemning gatherings at wells, the church was openly opposed although it is evident it was the side attractions of music, dancing and drinking (and all what that might result in) was what the church was concerned with. Or was it they wanted to bring their devotees back into a modern organised church where the priest played the central role. It is interestingly worth considering this approach in context of Hardy’s anti-Catholic rant on Irish holy wells – embarrassingly the first official book on the subject! He was clearly adding to the displeasure but unlike the Catholic church looking at the Catholic elements as well in his condemnation. The impact of the famine is also considered and with its consequential decline in population affecting the holy well. This, growing urbanisation coupled with religious indifference could have seen the end of the holy well. However, it is interesting to note that the author records like in Britain a growing affluent travelling middle-class keen on the curious and able to travel were also the salvation of many holy wells. Of course, unlike mainland Britain at the time, another factor, growing nationalism also had a role. So into this romantic mix perhaps the well was seen as something quintessentially Irish and worthy of celebrating. Furthermore, as Houlihan notes although not accepted into the main fold of Catholicism, the adoption of the Marian Year in 1954 saw many wells restored and slowly through the century patterns have been restored in a politer fashion perhaps, wells improved by local communities and private observations continue. The prickly consideration of the impact of tourism and paganism are also discussed. It is in consideration of the latter two that the book shows its considerable value. The author is keen to include and photo those who feel they have a personal link to the wells – guardians, those who had been cured, those who keep the traditions alive. Under the section Today’s wells, saints and pilgrims he provides detailed portraits of 10 holy wells. This small snapshot provides a clear indication of the detailed history and variation of wells, those to forgotten local saints – from those in secluded woodland such St Colman Mac Duagh ‘s Blessed Well in Carran to those whitewashed and blue chapel wells, who’s appearance may be considered on the garish side to some such as St. Martin’s Blessed Well in Kilcrest. Each portrait is given with directions and beautiful photos. This is a work of a passionate researcher who become fully immersed in the history, mystery and in the case of Ireland. An author who is clearly keen to see a return of the vibrant living traditions of the county’s holy wells. Reading it encourages you to want to explore yourself and there is no greater recommendation than that for a book on holy wells perhaps. I cannot recommend it enthusiastically enough. In modern holy well research there are as I call them the three Js – Janet Bord, Jeremy Harte and James Rattue. Perhaps in terms of true research James Rattue has contributed the most scholarly work and perhaps the most important being the first work to review the water cult historically. Over twenty years later in a rather belated review I briefly re-explain this work. One of the issues with the study of holy wells is the lack of general acceptance by the established historical and archaeological community. The first book to address this need for a professional holistic analysis was James Rattue’s 1995 The Living Spring – Holy Wells in a historical context– a study of the process of water cults in the British Isles (although mostly focusing on England) from prehistoric to modern times. A revelation at the time. Since the publication of Jeremy Harte’s English Holy Wells there is a temptation to see that work as superseding that of The Living Stream, however that would be a major mistake for Rattue’s book is a far more flowing and connected narrative and certainly lives up to its name (i.e a stream!). The is much to be explored in this book, dipped into and analysed. This work has two roles in a way. One is present the coherent process of holy well development and research. The other to explore some of the dogmas which appear to have developed throughout research of the subject. For example, the oft held principle that a spring by a church must have been a holy well. This Holy Well-Church dynamic is always a problematic one I feel. Villages are nuclear by nature and so statistically the likelihood of a spring being check and jowl with the church is high but that does not make it holy, a similar likelihood would arise with pubs! However, Rattue provides a more authoritative analysis of this. He makes a significant link between holy wells and Saxon Minster towns and uses this to identify some forgotten holy wells and this is a far more plausible argument backed up by historical evidence. Another misunderstood view is the role of the early church and the assumed pagan origins of holy wells. Rattue cautiously presents a link between ancient springs and holy wells and usefully provides a table of Roman Wells which suggests that the Romans did develop nationwide water cults. Conversely, the author provides some evidence to suggest the Roman church was not responsible for conversion. The book also provides a good source of the church’s early approach to the holy well a not always clear cut process. Another oft quoted view is the impact of the Reformation. The background to this event and its antecedents’ is neatly summarised to contextualise the reader in a way which does not patronise or bore those already knowledgeable. What is surprising is the way in which ‘new’ holy wells were being established right up to the Reformation and the work highlights this by referring to the survival of dual names – one holy, one secular – a point which would not be clear to all historians. The book also goes to suggest that the Reformation itself did not have as big an impact as generally believed or commonly espoused. Indeed, sites were more often described as ‘formerly esteemed’ rather than destroyed as other religious monuments were. It is clear that puritanism was contributed more to their loss than generally identified. However, generally it was revision of their sanctity rather than the loss of the well – for as the book highlights the need for good water overcome the need for superstition. What this work neatly highlights is how the phenomena of the holy well is so resilient. It survived the Romans. It survived Christianisation. It survived the Reformation and the Age of Reason. It survived the need for sanitation and modern health concerns. And yes, although we have lost a number of sites along this journey, the sites still survive to celebrated by Christians, the New Age and the secular. Of course twenty-one years have passed (remarkably) since its publication and although one must be cautious of such reviews written before all the data in available (Rattue provides a useful map of the research of the subject and happily it is good to state personally this has improved thanks to my efforts) this work is still an invaluable resource and hopefully will continue to legitimise the subject. If you are a serious well-researcher or even just someone interested in the real background of the subject this book is essential. Whether the more usable soft back or more showy hard back, the book is copiously illustrated with colour photos (70 in all although some are a bit blurry!) and takes the style of discussing each saint with its associated wells. Directions are given and any history or legends taken into account. A very useful appendix table summarizing can be line at the back. All that is needed for a very functional and informative guide. Perhaps what makes this unusual in holy well research is that the author is from a strong Christian background and clearly links it to his deep faith. Indeed, interestingly it worth observing that the majority of researchers have been either secular historians, folklorists or in many occasions neo-pagan in origin. Not since Dominican Horne with his Somerset work or the Reverend Binnall with his varied articles, has a Christian hand clearly been at work, most obviously in the small section on guidance for devotion at the sites. This might dissuade some people, hopefully not, because it must be remembered that these are holy wells and perhaps there are few places in England, where the work of the great age of Dark Age saints be felt. Those saints, Cuthbert, Mungo, Ninian, Patrick and Bega – their names remembered in local churches, although many church visitors might be unaware of the associated holy wells. Well-known sites such as Brisco’s Ninian’s Well and Kirkswald’s St. Oswald’s Well, an important site being located beneath a rare well chapel, are naturally included. However there are equally some evocative lesser known ones such as Wetheral’s Cuthbert’s well or Kirkmichael’s St Micheal’s Well, amongst many others detailed in the book. Of course being an Orthodox priest, the saints before the schism are of great significant and veneration, and the author is very well informed of their significance. But what I like most of the book that this is evidently the work of a passionate convertee to the study of holy wells and the magic they weave. Beyond all the book’s greatest strength is that it has now encouraged me to put the county’s holy wells firmly on my urgent to do list – it is warmly recommended. The 2010s has been an excellent decade so far for Irish holy well books, what with volumes on Dublin, Waterford and Clare being produced. 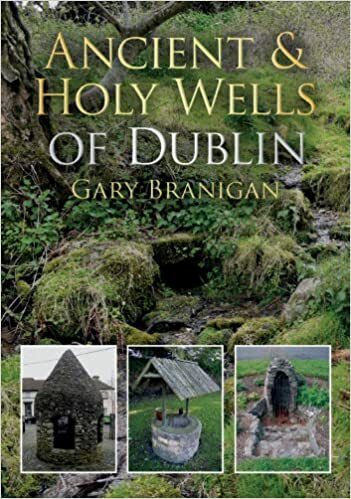 Noel French’s book on Meath Holy Wells is a very welcome addition to this canon. As the author himself states academic accounts of holy wells in the county are scant, none discussed with the Meath Arch Society and only three in the County Development Plan. All this adds support to the need for a volume like this. And a valuable volume it is. Over 80 wells are covered in considerable details considering its 11 pages and includes 57 colour photos, many I am sure photographed for the first time. The book avoids a length introduction often found in such works sticking to a brief explanation of what holy wells are and a reference to the research in the county getting into the accounts the actual sites. Such an approach is always welcome for the seasoned holy well researcher like me. The descriptions are unusually perhaps arranged according to their dedication rather than ordered alphabetically in parish. Starting unsurprisingly with the Republic’s patron saint and then their almost patron saint, St Brigid, passing through 15 other dedication chapters including the familiar Lady Wells, St John’s Wells and St. Ann’s Wells and more localised St Odran (said to be St. Patrick’s charioteer!) and St Ulta, then finishing off with interesting miscellaneous well dedications. This is an unusual move but in a way can provide the reader with a better idea of how these sites develop and by doing so draw trends. Are all the St Brigid Wells distributed in the same areas? Are there any similarities between St Patrick Wells? So on and so on. Although the author does not make these analysis the reader may be able to. The miscellaneous well dedications are particularly interesting highlighting some lesser well-known local saints. The county has wells for all users from the naturalistic Tobar Rua to the typical shrines of Our Lady’s Well, Killyon and Ardsallagh’s St Bridget’s well with its carved head. Perhaps one of the most curious being Father Sheridan’s Well, by all accounts a modern well, which has attracted some of the folklore more familiar to more ancient spring sites suggesting the continuation of such beliefs in the local community. The author gives notes on their cures, included noted ones, and the older rituals at these wells. Perhaps my only slight criticism is that the instructions of how to find the wells are limited. However, unlike the UK, this may be more to do with the provision of better signage in the county. This is a slight criticism and overall this is great and indispensable and much needed book. Indeed if you indeed to visit the Republic and venture into Meath it is invaluable. Such is a very valid observation made by the authors Ian and Frances Thompson who attempt to put together a wide selection of as the title says ‘lesser known’ sites. Curiously amongst the noted pantheon of modern holy and healing well researchers, Harte, Rattue and Bord, Ian Thompson is perhaps the least well known. This is even more curious considering the author’s work. This is regrettable because in each of the five books cataloguing holy and healing wells, often written in co-operation with his wife Frances, he has made some very valid and interesting observations in the topic which have not be raised elsewhere. The title, for a well researchers as myself is of course, a red rag to a bull and the title certainly intrigues…will there be new sites I would unaware of? Well first the bad news – for me it wasn’t crammed full of newly discovered holy wells – for someone as well read as me I did think that might be unlikely (to be honest I am not that sure that Walsingham’s holy well could ever be described as lesser known!). However, the good news is that like their first book, The Water of Life – Wells and Springs of Mainland Britain, it is full of first rate observations and often unique hypothesises and extrapolation concerning the 43 books described within. 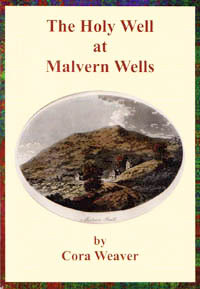 However, to return to the fulfilment of the title – there are indeed some lesser known sites – which the well-lover (as the authors refer to them) will not be aware of, such as the Yeovil’s nine springs, Hackness’s indeed curious Bridge spring, Troutbeck Village wells, Middlesmoor Blacksmith’s Well, a site which Thompson argues geographically was a church well, and of particular interest his thoughts on Malham Cover. Thompsons’ extremely astute criticism of most well researchers (perhaps excluding Harte he chose to debunk such views) that they depend on previous authors’ references to folklore or archaeological evidence to judge cultic wells is well argued. I myself are very guilty of being shy at connecting topographical evidence to support the cult importance of a site in my work, but in defence this is common historical practice and it is very refreshing to hear someone look beyond the obvious. Using evidence form foreign river cult and considering the grandeur of the Cove it is difficult not to agree with his analysis of the site significance. An excellent feature of Thompsons’ work is the inclusion of a detailed analysis of site and interestingly he provides another eight stage classification to describe the wells he discusses. Like all good guides of this nature it considers the ‘convert’ and Thompson adds a list of the 14 best holy wells in the country, again not a surprising list, but a useful one. The intention of the book of course is more academic I would add but does give useful field notes particularly with the Bodmin wells. All in all this is a first rate and very welcome addition to the holy well library which will inform on a number of sites, which indeed are lesser-known, and of those better known, give a fresh and much needed analysis on. Warmly recommended. A companion volume to the authors’ ground-breaking survey The Water of Life: Springs and Wells of Mainland Britain, Llanerch Press, 2004. It is an invaluable reference tool for anyone interested in our ancient water-sources, classifying them by type, dispelling myths and misconceptions, and offering insights into the changing nature of the well cult throughout the ages. The gazetteer section is meticulously researched and contains information about many wells which have not previously featured in national surveys. With 25 coloured and 32 black and white illustrations. To which I would add contributors to Megalithic portal take note! However, it would have been good to see a list of other named wells in an appendix for possible discussion. Perhaps also it could be argued that having a title ‘ancient’ did not require those wells to have tradition depending on what we describe as ancient many wells have medieval origins. Its the main reason I avoided the term in my research. Understandably having visited and surveyed 116 wells many of which are extant, that effort alone is clearly laudable and very time consuming What is rather disheartening perhaps is that even in a country where well worship is still alive and indeed a tourist trade built upon various sites, the threats to its heritage are the same. Whether they be land use change, vandalism or indifference. Indeed, the author draws attention to a number of sites which have been lost within recent years: Crockhane’s St Catherine’s well in 1995 due to ditch widening or amazingly the shallow Tobarbawn filled in by the council in the 1970s for being dangerous! Hopefully times have changed since then and Branigan’s work thankfully draw the general public and heritage organisations to their plights so those at risk are not further degraded by wilful damage or excessive undergrowth. However, whilst there are sad cases such as Cardiffscastle’s St Patrick Well encased in an ugly metal cage or St Marnock’s Well, Burrow, now a boggy morass! However, these fortunately are in the minority and the book underlines the variety of sites. The natural beauty of Flemington’s Lady Well, the subterranean mystery of Quay’s Chink Well, the impressive St. Doulagh’s Well with its unique baptistry and the more traditional Irish Lady’s Well, Tyrellstown and a whole range of stone and brick buildings or simple stone lined springheads in between, the restored St. Werburgh’s Well, Croscastle even has a Buddha! Branigan is to be congratulated for his dogged determination to seek out the sites and in the process rediscovering and restoring sites such as Balrothery’s Holy Well. Of course the only criticism, if that is what one would call it, is that this only covers Dublin. Yet, hopefully this book will not be a standalone volume and that either Branigan continues his survey–he’s young enough by the look of his children in one of the photos!, Yet considering the size of the task, it is more probably and hopeful that others encouraged by his effort, will visit the Country’s wells and provide worthy companion pieces. Ancient and Holy Wells of Dublin cannot be recommended highly enough. There are approximately 100 surviving Ancient & Holy Wells in County Dublin, including natural springs, elaborate stone monuments, sea caves and hidden sites in tunnels under the Dublin streets. This book documents the remaining Wells in the landscape, with many beautiful photographs of each & its surroundings, detail brief history & legends attached, and give precise locations & directions, allowing people to start visiting these ancient places of both religious and archaeological interest again.